Drift Allstars round 6 was held in Germany, just south of Berlin. Track was Euro Speedway Lausitzring, which is a huge track with one big three turn oval and an infield track as well. We drifted on the infield, right after the main start straight. 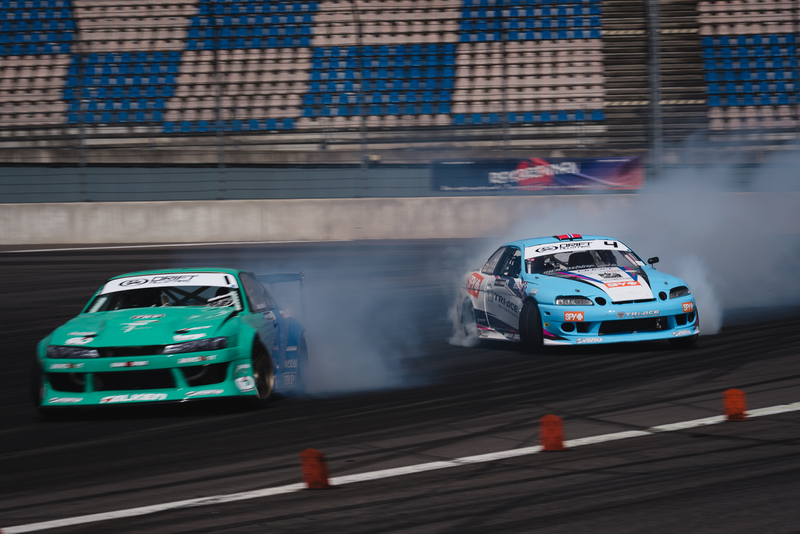 This was the first time for Drift Allstars to enter Germany with a competition. 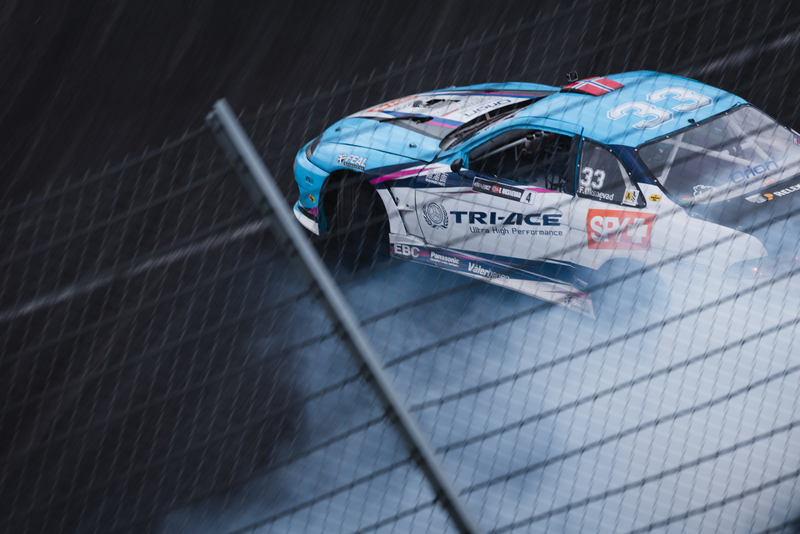 It was together with one of the biggest Japanese car shows called Reisbrennen so the crowd where huge, over 30.000 visitors throughout the weekend. Qualifying went okey. We didn’t pull of our best run of the day, but it gave us a 7th place. My first battle was against Karolina Pilarczyk from Poland in top 32. A great battle, showing Karolina the best women drifter I have ever drifted against. Karolina did some small mistakes, while we had 2 good runs giving us the win. 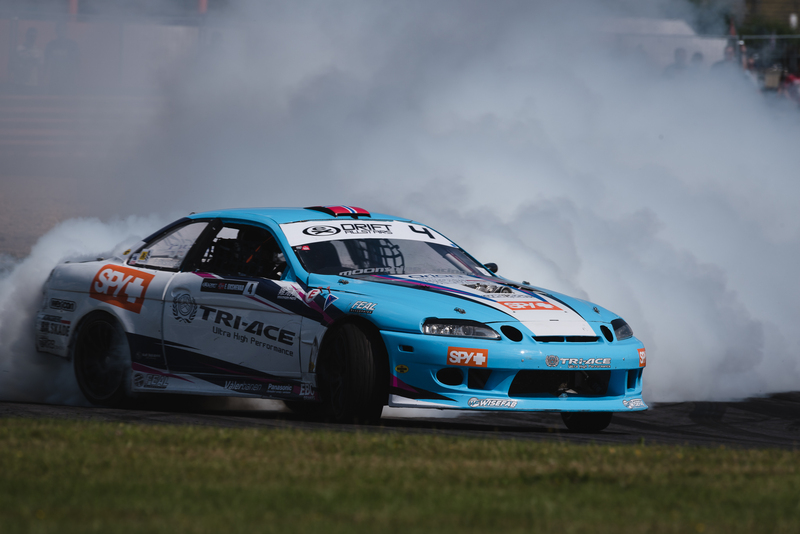 The first car to arrive Lausitzring for this event was Wade Van Zummeren’s badass Nissan R34 Skyline! 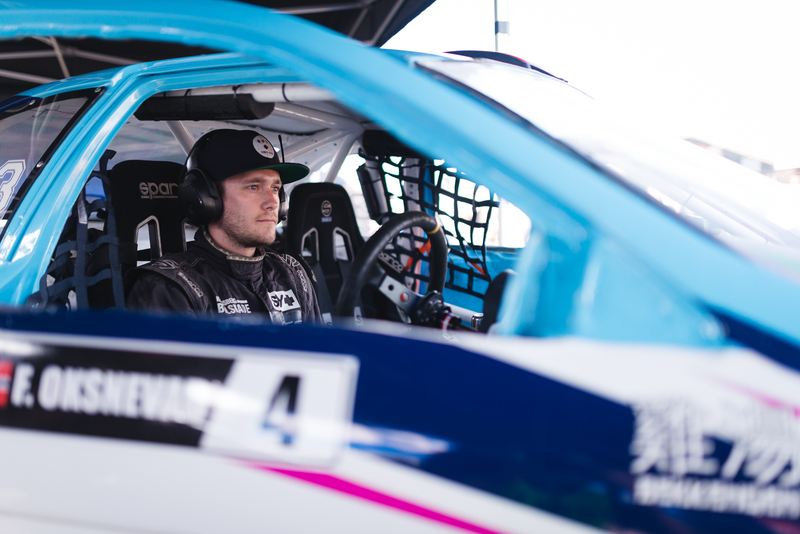 He has sent his car all the way from South Africa in a 20″ container to compete in Europe this season. Before this event he told me he had changed to Feal Suspension to get more grip in his car, and oh boy it worked out well for him! As you can see he produced a lot of smoke as well as great speed throughout the course! I’m happy I didn’t do any mistakes chasing him while struggling to see through all the smoke. We got the win and moved on to top 8. In top 8 we where yet again facing James Deane from Ireland. This is the second weekend in a row we face each other to early in the competition. We drove it all, but James was to strong for us and got the win. Either way I’m really happy to get to battle the best drifters out there. It gives us so much good practice and I’m glad we are learning each time. One day in the future I’m sure we will take it all the way! Thank you for all the support in Germany. 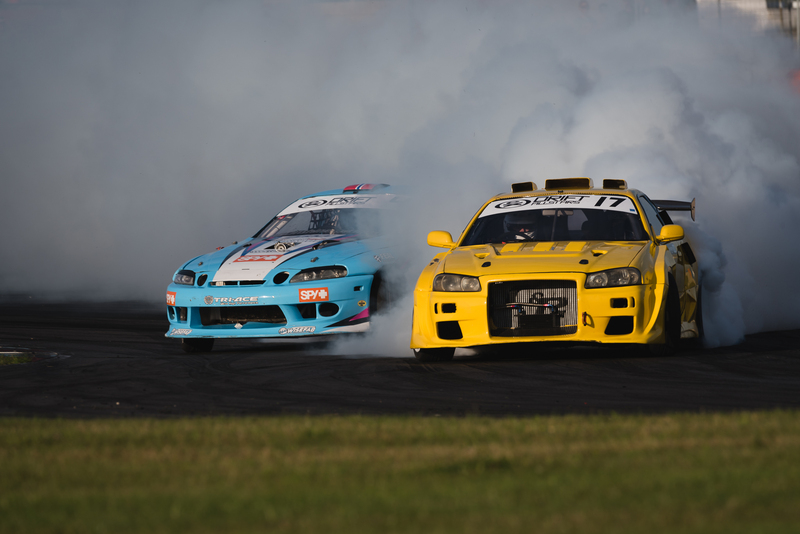 Next event is Drift Allstars Hungary. Look at all the Tri-Ace Tyres smoke coming of the super grippy Racing King 265/35-18 we are using! Love it! High speed out of turn 3, full throttle in 4th gear!